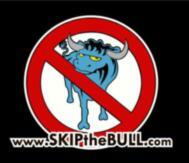 Email Richard@SKIPtheBULL.com and let me know what you are looking for and I will find it! A "STRESS-FREE" Move Across Town or Across the Country! The only B.S. I have is from the University of Massachusetts!!! No one shows up for training! Do you think the New Bailout will Help us Recover?